We are in the paper today! Thank you Ozone! Between the time we first saw the Molbert House in late October 2016, and finally moving in around February of 2017, I had dreams of setting up shop in this rural community. After dedicating our 2017 to fixing up and selling our house in Bismarck, my dream is finally becoming reality! 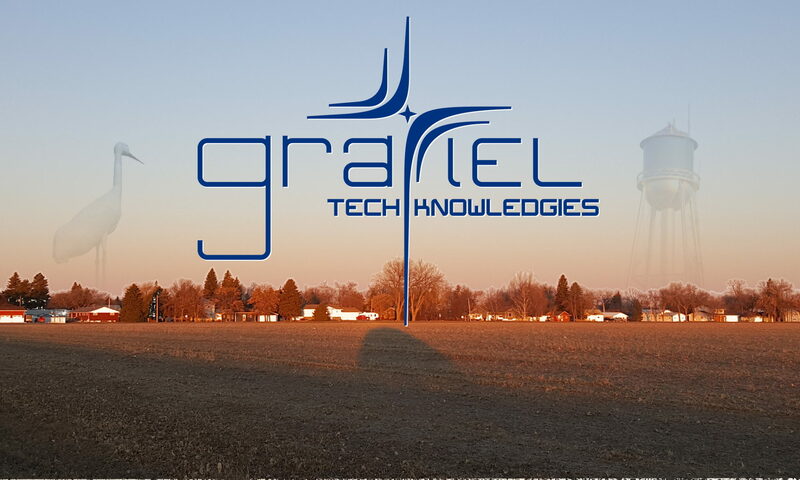 My name is Eric Wanchic, and our family is excited to be opening up our business, Gratiel Technologies, right here in Steele. I’ve been active in computers and technology since I was 12 when I started designing my own video games. Now I specialize in so many areas of technology, from Hardware & Systems Repair to Software Engineering & Creative Problem Solving. 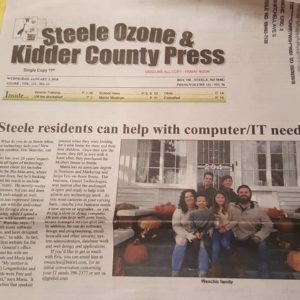 Our family looks forward to serving you with your technology needs in Kidder County and the surrounding area! Come back here often, and look for us in the Steele Ozone for free tips and tricks on how to better use your technology! – Maria took a lot of the photos that make up the top of the Home page. The Blog page is a photo I took on the road to Cherry Lake, just at the right time! And finally, the last photo I took of Trinity Lutheran outside of my office window. So perfect during this Christmas / New Year holiday! Your local source for PC service & repair, custom software solutions, and website development in rural North Dakota.